Nikolas Schreck and Ania PsH present a revolutionary action. Dressed up like militants they manage to time travel to 1968. They storm the BBC studio, interrupt a program hosted by an outdated BBC presenter (Adrian Shephard) and take over. They start a revolution, drop LSD, and then it goes into orbit, far out. 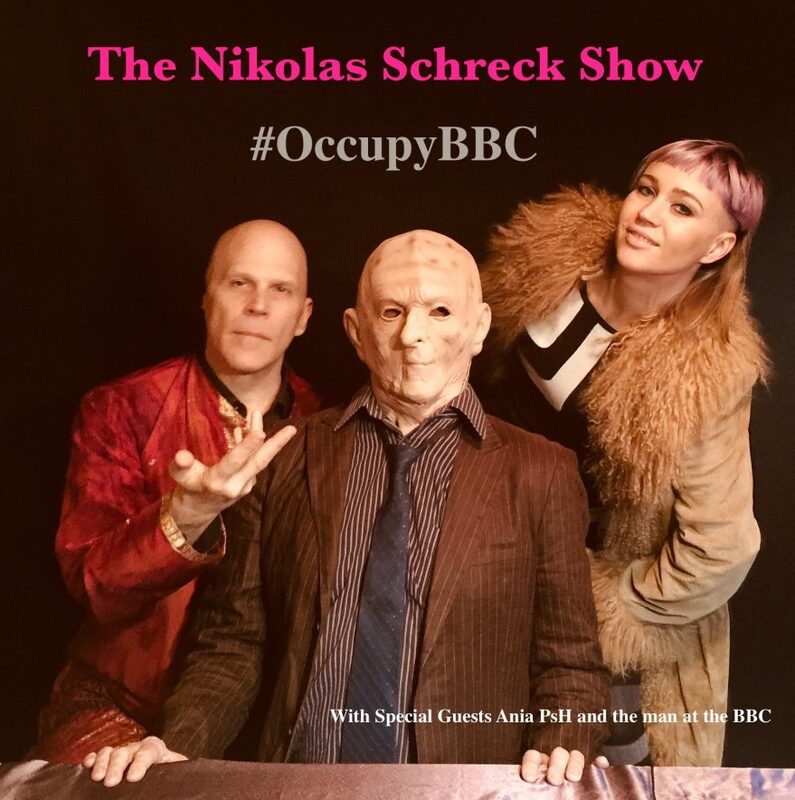 The Nikolas Schreck Show is recorded and produced at the Radio On studio by Adrian Shephard.